An underweight baby may have developmental issues unless you pay special attention to providing your baby with enough nutrients. Even healthier babies need to eat properly or they will develop certain health problems. However, you need to understand that each baby has a different feeding schedule, as some would be willing to eat any time of the day while others may seem uninterested in food the whole day. If your 6 months old not eating and the change is sudden, you may want to talk to your pediatrician to ensure everything is fine. Why Is Your 6 Month Old Not Eating? Your baby may be suffering from GERD or gastroesophageal reflux disease, a condition in which stomach acid backs up into the esophagus. The condition can make it difficult for them to eat. To manage it better, consider feeding your baby slowly or less at each meal. Keep their diaper loose and ensure that you keep them in an upright position after feeding for at least half an hour. It is also a good idea to keep your baby's head a bit elevated on the mattress. Your baby may be spitting up too often. It is a common problem with babies, but the problem usually goes away by the time babies are 12 months old. If spitting up seems to be the problem making 6 months old not eating, you may want to avoid overfeeding, burp them regularly, and avoiding active play immediately after feeding. If these steps do not help, you may want to talk to your doctor for assistance. Your baby may be teething. It is common for 6 months old babies to start teething, and when it happens, feedings become an extremely difficult task. While teething, your baby's gums swell, making it quite uncomfortable for them to eat. Your baby may be resisting the change. Your baby may refuse to eat anything when you are making the switch from breast milk to formula. You may experience the same issue when switching from cereal to solids. Sometimes, they do not like the spoon, the taste, or simply the change. Your 6 month old not eating can certainly make you feel concerned, but you can correct the issue by identifying the underlying issue. If your baby has already started solids but recently started showing no interest in food, it could be due to one of the following reasons. Your baby may find it difficult to eat due to gagging. 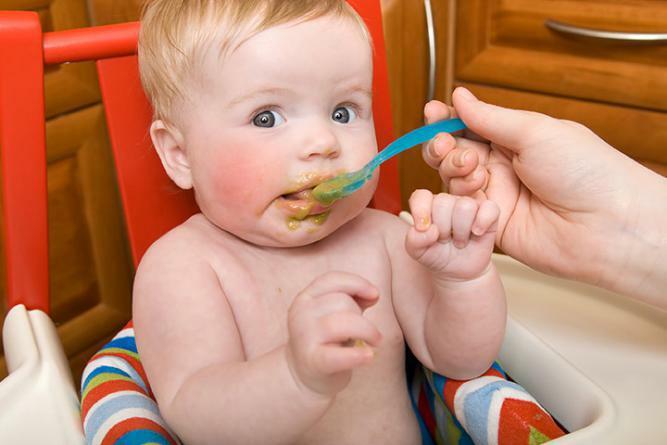 Babies usually start to eat solids between 4 and 6 months, but some may find it difficult to swallow solid food. You need to make some adjustments if you find your baby gag a lot while eating. A simple fix is to give them a little to eat at a time – you need to put less on the spoon for instance. This usually resolves the issue, but if the problem persists, it could be because your baby is not yet ready for the switch to solid foods. Do not ignore persistent gagging and talk to your doctor for more assistance. Every baby goes through this phase, but for some, it can be quite intense. 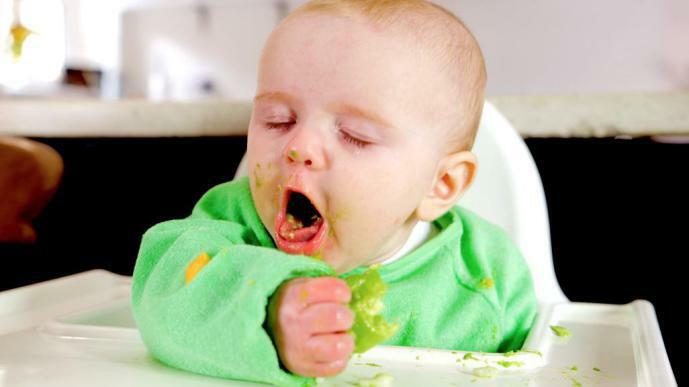 During this phase, babies seem to be more interested in 'playing' with food than eating it. They would drop most of everything on the floor and eat nothing at all. Some experts call these "signs of feeding independence", and you are likely to experience this situation when your baby is already 9 months old. 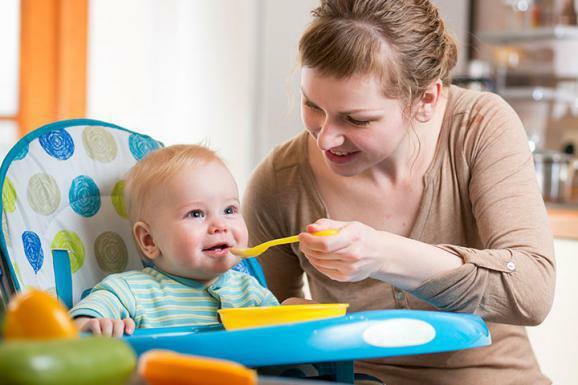 While you may feel concerned about your 6 months old not eating, you should not worry because it is an important step to help your baby grow and learn how to be more self-reliant. Babies with food allergy often find it difficult to eat as much as they should. Statistics show that about 8% of children have food allergies. The problem can appear suddenly and lead to symptoms, such as vomiting, diarrhea, stomach pain, and rash. Some babies may also develop breathing problems and have facial swelling as well. Common food allergies among babies are soy, milk, wheat, eggs, shellfish, and nuts. Similarly, food intolerance is a common problem keeping babies from eating enough. While your baby may experience the same symptoms, food intolerance affects the digestive system instead of the immune system. Common food intolerance includes problems with corn, lactose, and gluten. Symptoms usually include bloating, gas, belly pain, and diarrhea. When your baby refuses to eat, it is natural to feel worried, but it does not always indicate anything serious. Here is when you should consider discussing your concerns with your doctor. A change in how often your baby eats may not be due to any health issue, especially if you are changing enough diapers daily. If your baby is getting enough nourishment, they should wet 5-6 diapers a day. They should also have at least one bowel movement daily. If the change is not due to anything serious, your baby will seem content and relaxed after feedings. Their skin will also be smooth and unwrinkled. Your baby who does not eat enough is less likely to urinate frequently. You may also notice their urine to be orange or dark yellow. They may not have one bowel movement per day, which is another sign that something is wrong, especially if the bowel movements are hard. 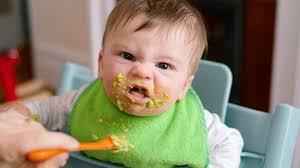 There may also be a problem if your baby seems fussy after each feeding and looks little interested in eating. Keep an eye on your baby's weight – healthy babies steadily gain weight over time. If your baby is losing weight, it is time to talk to your doctor right away.